Varun is a junior student at Rice University. He graduated from West Shore Junior/Senior High School (Melbourne, FL) in 2013. He has studied violin since the age of nine. 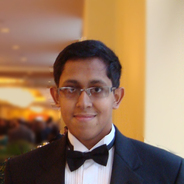 As an active member of the music community, Varun has performed with the Rice University Campanile Orchestra (Houston, TX), the Brevard Symphony Youth Orchestra (Melbourne, FL), & the West Shore Chamber Orchestra. 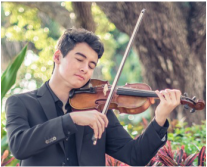 He has also participated in the Florida All-State Orchestras Brevard All-County Orchestras, Solo and Ensemble, and Federation of Music Clubs. Varun was concertmaster of West Shore Chamber Orchestra and Principal Second violinist for Brevard Symphony Youth Orchestra from 2011-2012. In addition, during his 10th grade year, Varun mentored two violin students at Club Esteem, an after-school program for local underprivileged children. In his free time, he enjoys good books, sports, and hanging out with friends. Jade Alvarez-Lauto is currently a sophomore enrolled at Merritt Island High School. She has played violin since she was six and is currently a student of Dr. Alvaro Gomez in Winter Park. Since seventh grade, she has participated in All-County Orchestra every year, including as concertmaster in eighth grade, as well as All-State Orchestra and Solo & Ensemble. Outside of private lessons, Jade is also involved in the Winter Park Chamber Music Academy, Florida Young Artists Orchestra, MusicMDs and plays in her high school Chamber Orchestra. When Jade is not participating in her musical commitments, she enjoys advocating for her peers as a Teen Court attorney, photography, riding her bike, and learning about history. 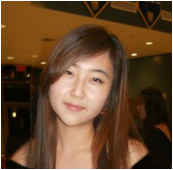 Yulia Park is a 9th grader at West Shore Jr/Sr High. Her first experience with music began at a young age when she started the piano. She added violin at the age of 8. Recently, she has also started viola and studies both violin and viola under the private teaching of Mr. Carey Moorman. She was the concertmaster of her elementary and middle schools. 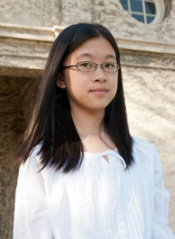 She joined BYSO in 6th grade and is now a member of the BSYO Philharmonic. During middle school, Yulia was the concertmaster of the 2012-2013 Florida All-State Middle School Honors Orchestra as well as the Assistant Principal 2nd of the 2013-2014 Florida All-State Middle School Orchestra. 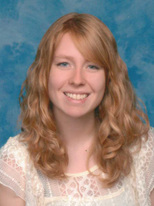 She participated in Brevard All-County Orchestra and in Solo and Ensembles with straight superiors. Yulia also performs in the Space Coast Symphony Orchestra concerts. Her hobbies are reading, writing, playing tennis, and tutoring. 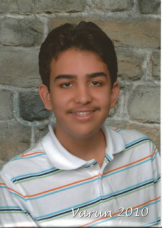 ​Andrew Leonard is an 11th grader at Westshore Jr. Sr. High School, and is 16 years old. He has played the violin for 6 years and currently studies with Amy Jevitt of Merritt Island. He participates frequently in the All-County and All-State programs in Florida. Locally he performs with Quartet Movement, playing chamber music, along with local symphony orchestras. He also has received superior ratings with solo and ensemble and other music assessments. 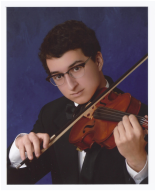 In addition to violin, Andrew studies piano and enjoys competing, accompanying and playing in solo recitals with that as well. 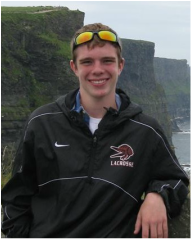 Aside from music, Andrew enjoys traveling, reading and running. 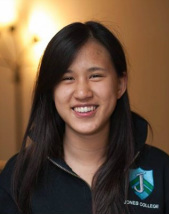 ​Erin Hu is a rising 10th grader at Holy Trinity Episcopal Academy. She has been playing the viola since the age of 11. Erin currently studies under the private teaching of Igor Markstein. 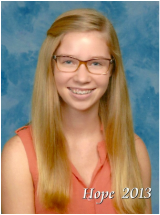 Erin has been awarded Superiors at Solo and Ensemble and has attended Brevard All-County 2013 and 2014 (as a first stand violist). She is a member of her school orchestra and varsity lacrosse team. She has also performed in several Pit Orchestras. Outside of school, Erin's hobbies include playing chamber music, photography, and experiencing new adventures. 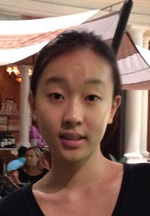 Soyoun (Soy) Choi is a 9th grade student at Holy Trinity Episcopal Academy. Her journey with music started when she began taking piano lessons at age 5. At age 10, she started learning the violin as well, and has recently started learning to play the viola. She takes private lessons with Mrs. Linda Utz. 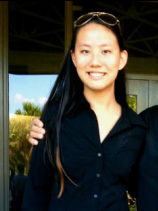 As a member of the Brevard Symphony Youth Orchestra (BSYO), she placed second in the BSYO Concerto Competition. She was also part of the Florida All-State Orchestra. She loves to play music for the elderly at the Wuesthoff Assisted Living in Viera and mentor younger students at music camps and workshops. 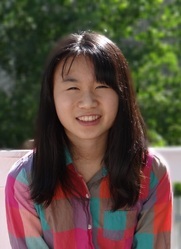 In addition to playing her violin and viola, she also enjoys golfing, swimming, and reading. 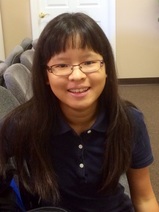 Janet Lu is a 9th grader at West Shore Jr/Sr High School. She started playing piano at the age of 7 and added violin when she was 11 in order to play in her middle school orchestra. Since middle school, one of her hobbies has been singing. She has also recently started playing guitar as an accompaniment to voice. Janet studies violin with Mr. Carey Moorman in the Melbourne Area. She was a member of BYSO (Bellevue Youth Symphony Orchestra, in which she was 1st chair) in 2014. Because of her move to the Melbourne area in 2015, she has joined CYA’s Philharmonic group, where she is principal second. Janet also plays in Chamber Orchestra at school. She played in her All-County Orchestra in 2013 and 2014, and was accepted to Washington All-State’s 1st violin section in 2014. Janet’s hobbies also include swimming, playing tennis, skiing, and drawing. 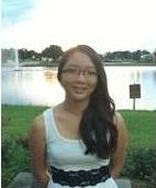 Sophia Nguyen is a 10th grade student at Westshore Jr./Sr. High in Melbourne, Florida. in National Federation of Music Clubs as well as Florida State Music Teachers Association Student Day Examinations for piano. On her spare time, she enjoys traveling, cooking, reading, and playing tennis. Scott Hurwitz is a 9th grader at Satellite High School. His two main instruments are the piano, which he has played for six years, and French horn, which he has been playing for a year and a half. He also plays alto saxophone (the most common sax), though it is not his main instrument. Besides being a member of his school band, Scott is also a member of the Brevard Symphony Youth Orchestra's Philharmonic orchestra and the All-county Band. He has been invited to play with Cornell University’s Big Red Band during the University's reunion celebrations. Scott’s main hobbies are mostly musical; though he also loves to build and create anything he can think of and take apart lots of mechanical objects. Scott also likes to swim and read books a lot. And, he LOVES to play with his dogs. They are all great hobbies to him, though they all pale in comparison to the magic of music. Anikka is a junior at Holy Trinity Episcopal Academy. She has been playing guitar for 4 years, has basic piano skills, and has recently taken up the ukulele. She sings in the high school chorus and is currently starring as Evangeline in the Opera of the same name. She achieved Superior and First Division medals in spring of 2015 at State Solo and Ensemble and attended Interlochen Arts Camp in Michigan in the summer of 2015 with the major of Singer-Songwriter. She enjoys playing Varsity golf for Holy Trinity, studying French, and loves to read. Charlotte Goodman is an enthusiastic instrumentalist who is in her seventh year as a violinist and vocal musician. Charlotte is a sophomore at Satellite High School, and a member of the Symphonic Orchestra conducted by Mr. Mark Nelson. 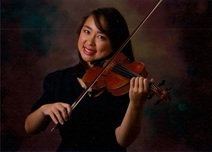 Charlotte was concertmaster of the Hoover Middle School Intermediate (7th grade) and Concert (8th grade) Orchestras. She participated in All-County Orchestra in eighth grade, as a first violin. Charlotte has been awarded Superiors and Superiors w/Distinction at Orchestra Solo and Ensemble. Outside of school, Charlotte is a regular member of the Immaculate Conception Chamber group, which she co-founded with her brother Henry. 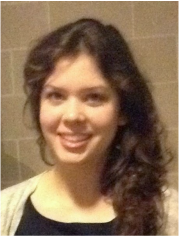 Charlotte is a cantor at the church, and sings solos, duets, and trios for the services. In her free time, Charlotte enjoys golfing, painting, reading and, of course, practicing her violin. Henry Goodman has been playing violin for eight years. He is a Junior at Satellite High School and one of the rotating concertmasters of the Symphonic and Chamber Orchestra there. Henry currently studies with Mrs. Dana Beattie. He has made All-County Orchestra five times in a row, including this year. Henry made All-State Orchestra in eighth, tenth, and eleventh grade. He has been awarded Superiors (2009-2010, 2013-2014) and Superiors w/Distinction (2010-2011, 2011-2012) at Orchestra Solo and Ensemble. This year, Henry was chosen as a Finalist for the Brevard's Got Music Talent Competition and will be performing at the Henegar Center in February. Henry participates in the Immaculate Conception Orchestra and regularly plays solos at Immaculate Conception Church. 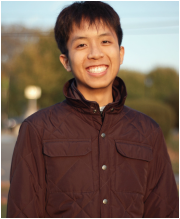 He loves playing violin and is proud to be a Senior Member of MusicMDs, as he believes it has improved his communication, leadership and musical abilities. 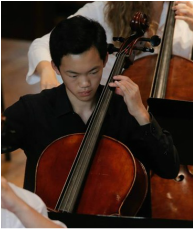 Henry led MusicMD student ensembles at multiple HRMC events with outstanding performances, including the 2013 Tree Lighting. Evan Ristow attends Holy Trinity Episcopal Academy in Melbourne, Florida and is in the eleventh grade. He plays the violin and guitar. He is in his seventh year of playing the violin and his sixth year of playing guitar. Evan has been taking violin lessons for five years. He taught himself guitar for two years and is in his fourth year of guitar lessons. He has received superiors, and one superior with distinction at Solo & Ensemble competitions. 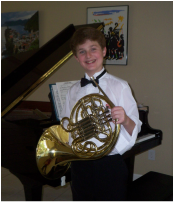 Evan is a member of his school orchestra and of the Brevard Symphony Youth Orchestra. He has also performed with the Florida All-State Orchestra. Other hobbies of his include running track and cross-country, reading, listening to various genres of music. 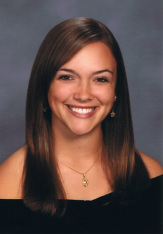 Ashley Kathleen Wolf is a Heritage High Sophomore in the Choice Cambridge Program and Sports Medicine. A Duke TIP honoree, she began violin in 7th grade, earning 1st Chair. At Heritage she has earned Superior All-County ratings and has been honored with special music assignments such as Strings Quartet. As an Orchestra Team Leader, she recruits middle school musicians and mentors students. Ashley is a vocalist with many years of singing at home, in the car, everywhere! She sang in the Melbourne First Baptist Church's Youth Choir. She takes private vocal lessons with coach Kaimi Lucker. Her music genres vary widely. She enjoys family, friends, and animals. Ashley is health conscious and plays soccer at classic and challenge levels, plus Varsity soccer as a Freshman at Heritage. She works out, boats with her family, reads, computes, writes and journals, travels frequently to NC, and enjoys crafts. Sierra Park was first introduced to music through piano at the age of seven. She was an active member of Seoul Junior Recorder Ensemble from 2005 to 2009, performing for heart patients and other fundraising events and concerts. She also studied flute and joined chorus simultaneously. Now in 10th grade Melbourne High School's International Baccalaureate Program, she plays violin and viola, and participates in Solo & Ensemble, Brevard Symphony Youth Orchestra (concertmaster for Symphony Orchestra (2011-2012); principle violist for Philharmonic Orchestra (2012-2013)), All-County Orchestra, All-State Orchestra, Space Coast Symphony Orchestra mentorship program, National Federation of Music Clubs for piano and violin, Brevard Chamber Music Seminar, as well as Melbourne High School's Chamber Orchestra, under the private teaching of Mr. Carey Moorman. 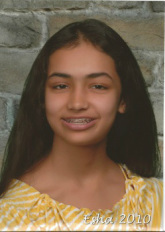 She enjoys traveling, playing tennis, volunteering for the community, participating in numerous clubs at her school, and has found Mel high 10th Grade IB Humane Society. In the future, she plans on studying pharmacy and violin. 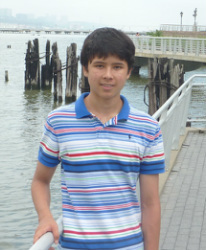 Talin Handa is a 11th grader at West Shore Jr./Sr. High School. He has been playing piano for 12 years, and violin for 6 years. He studies piano with Mr. Paul Fuchs and violin with Mr. Stewart Kitts. Talin has received Superiors in Piano Federation and the Piano Guild. He has received an Excellent in Solo and Ensemble. He has been concertmaster of the Symphony Orchestra in BSYO from 2012-13 seasons. Talin takes part in his school orchestra and BSYO. His hobbies include reading, learning and playing pop music by ear on the piano and violin, and biking. Hope Dougherty is in the 9th grade at West Shore Jr/Sr High School. She has been playing the piano since Kindergarten. She has accompanied many musicals at Eastminster Presbyterian Church and chorus concerts at her school. She is an avid dancer and has been with Space Coast Ballet since the age of five. She has appeared in numerous productions of The Nutcracker in various roles including the role of Clara. She is also on the varsity dance team and a performer in the theatre at school. 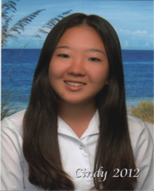 Cindy Hall is a 9th grader at Holy Trinity Episcopal Academy. Since she started playing violin at age 11, she has been learning the violin from Mrs. Utz. She is a section leader for her school’s advanced orchestra. She has played her violin multiple times at her school’s chapel/church services and baccalaureate service. She has received all superiors during the Solo and Ensemble and MPA. She also made All-State Honors Orchestra in her 8th and 9th grade years. In her spare time, Cindy enjoys listening to variety genres of music, playing golf, doing taekwondo, and traveling to Seoul, South Korea to see her families and friends. Rachel Ho is a 9th grader at West Shore Jr/Sr High School. She started violin at the age of 4 and added viola at the age of 9. Rachel is part of the Space Coast Symphony Orchestra (SCSO) mentorship program and participates in their professional Masterworks concerts. 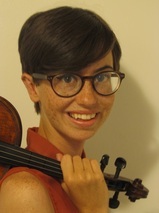 Rachel studies violin and viola with Mr. Carey Moorman in the Melbourne area. She has been a member of the Brevard Symphony Youth Orchestra (BSYO) (Violin / Viola) since 2004 (having served as 1st chair among high school students, even as an 8th grader) and the Chamber Orchestra at school. Rachel has attended competitions including the 2011 Florida All-State Conference (as Principal Violist for the state of Florida), 2011 Brevard Middle School All-County Music Festival (Violin, Associate Concertmaster), and 2011 National Federation of Music Clubs Junior Festivals. She also plays in numerous Pit Orchestras and volunteers at fundraising events. Rachel’s hobbies include playing violin and viola, dancing, reading, and learning foreign languages. 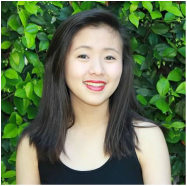 Zoe Tao is a sophomore at Rice University ('17) studying psychology and pre-medical studies. She plays the guitar, violin, and pipe organ, but her main loves are in piano, voice, and composition. Prior to attending Rice, she studied piano with a professor at the Shepherd School of Music for seven years and violin with a member of the Houston Symphony for four years. Her senior year of high school, she started training her own orchestra minions (aka teaching lessons to middle school students). After playing in public school orchestras and ensembles for seven years, making fourteen years total of classical music training, Zoe decided to join the Rice Jazz Band and Combo and now greatly enjoys spontaneous improvisation. Outside of playing music, Zoe enjoys reading about complementary and alternative medicine (such as music therapy! ), practicing yoga, working on research in neurodegenerative disease, and DJing for ktru, Rice's radio station. 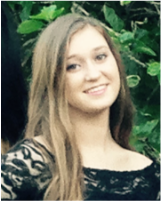 Julia is currently a sophomore attending Rice University as a Bioengineering major. She is classically trained soprano and has had over 7 years of experience as well as training. She has participated in many concerts as a soloist as well as advanced as a semifinalist/finalist in many vocal competitions such as All-State as well as Solo & Ensemble. She enjoys singing arias as well as solos from musicals. Outside of MusicMDs she participates in laboratory research at the Pediatric Cardiac Bioengineering Lab at Texas Children’s Hospital as well as clinical research in pediatric gastroenterology, also at Texas Children’s Hospital. 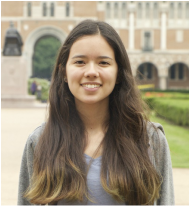 Jennifer Carson-González is a sophomore, biochemistry major at Rice University. She has been playing piano since age 6. 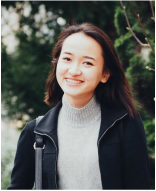 Jennifer studied under Rice’s Dr. Sohyoung Park in high school and took a gap year to record and perform Frédéric Chopin’s Piano Concerto No. 2 in Montréal. 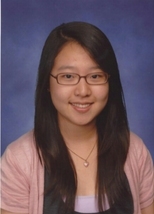 As a student at Houston’s High School for the Performing and Visual Arts, Jennifer earned second place in a school solo and ensemble competition by performing a selection from Brahms’ Sonata for 2 Pianos, Op. 34b. Jennifer enjoys cooking and loves to travel. My name is Ava Jang. I am part of the class of 2016 at Rice University in Houston, Texas. It has been about 10 years that I have been playing the violin. Throughout middle and high school, I participated in the school orchestra. I was also a member of the Junior District orchestra in Fairfax County, Virginia. Besides playing the violin, I love to listen to hip-hop and acoustic music, as well as watching various genres of movies. I have been playing the viola for ten years and have studied with Winston Turbeville, Chris Parsons, and Beverly Bias. I have played in the Stinson Middle School Varsity Orchestra, the Health Careers High School Varsity Orchestra, the YOSA Philharmonic Orchestra, and the Rice University Campanile Orchestra. I was the principal violist in both Varsity orchestras and the second chair violist in the Campanile. I have received over a dozen first division awards for solo and group performances playing both the violin and viola, including a first division viola solo award at the Texas State Solo and Ensemble competition. I was also honored with membership in Region 11 TMEA Orchestras from 6th to 12th grade. Outside of music, I am studying Bioengineering as a premedical student, with the goal of becoming a medical innovator and practicing clinician. 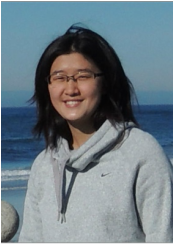 Chelsea Wu is currently a freshman pre-med studying biochemistry at Rice University (’18). She has been playing violin since the age of six and has been playing for 12 years. 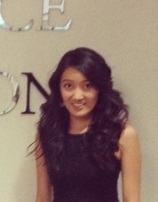 Chelsea is currently a violinist with the Rice University Campanile Orchestra. 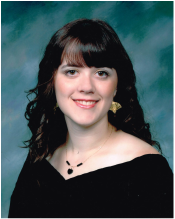 She has participated in various honor orchestras including the Arizona West Regional Orchestra, Arizona All-State Orchestra, and All-National Honors Orchestra in Nashville, TN. In high school, Chelsea was also a member of the Phoenix Youth Symphony; and, in addition to larger orchestral playing, Chelsea also enjoyed playing with her high school’s string quartet. During her free time, Chelsea likes to spend time with friends, watch movies, read, write, and eat good food. 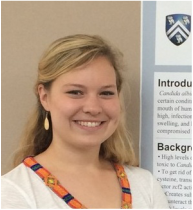 Allison Burns is a rising senior (’16) at Rice University studying Cognitive Science. She has played guitar for the past six years and has been singing ever since she could talk. An active member of the Rice community, Allison is the president of The Low Keys -- Rice’s only all female a cappella group. She spends a lot of her free time volunteering and aspires to be an occupational therapist when she is an adult someday. 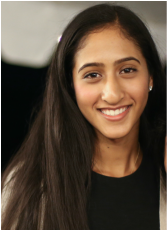 Zohra is an undergraduate student at Rice University (’18), where she is studying English and Biological Sciences. She has played viola for over 8 years as a section leader in Varsity Orchestras throughout junior high and high school as well as earned division one’s on all solo pieces throughout school. She was also honored to be a member of the All-Region 23 TMEA Orchestras throughout junior high and once again in high school. Currently, she plays viola at Rice for the Baker Quartet and Companile Orchestra. 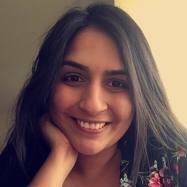 Apart from music, Zohra enjoys volunteering to mentor economically disadvantaged high school students reach higher education as well as spending time with her friends and family in Houston. Zohra hopes to attend medical school one day and practice neurology in order to soothe the minds of her patients just as she does with her music. Gabriela Barrios is a rising sophomore (class of 2018) at Rice University. She is a pre-medical student who plans to study chemistry or math. She has played the piano independently for 14 years, and she has played the violin for 13 years under private instruction. She has performed in several solo recitals and in one of her high school’s theater productions. Gabriela participated in her high school’s orchestra for two years, becoming the concertmaster in addition to participating in the Denver Continental League Orchestra her senior year. She is currently a violinist in the Rice Campanile Orchestra for non-music majors. Her interests include spending time with friends, dancing, drawing, and watching movies. 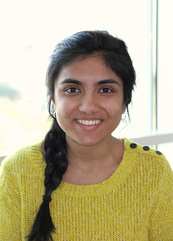 My name is Natasha Mehta and I am a sophomore at Rice University. My instruments include piano, which I have practiced for twelve years, and voice, which I have practiced for six years. I received private instruction for both instruments throughout high school and gained high rankings in Solo and Ensemble for both instruments and in the All-State competition for voice. In addition to those honors, I was section leader for all alto, soprano two, and soprano one throughout my high school choral career, and served as the teaching assistant for two years. In addition to music, I also enjoy reading, cooking, and SCUBA diving. 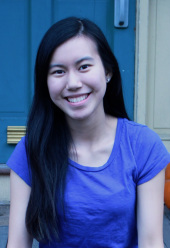 My name is Michelle Zhong, and I am a part of Rice University’s Class of 2019! I started playing the flute when I was in the 6th grade, and have been blessed to be a part of the Georgia All State Bands through middle and high school and the Atlanta Youth Wind Symphony in high school. I currently play in the Rice Campanile Orchestra for non-majors. With regards to hobbies outside of flute, I am a part of Rice’s Camp Kesem chapter, and am looking to join Rice’s EMS team as well. Tristan Rhodeside is a senior at Satellite HS. He has played the violin for 13 years and currently studies with Professor Ayako Yonetani and Dr. Lev Gurevich. 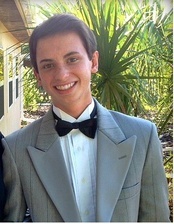 Tristan has been in Brevard All-County Orchestra for 6 years and Florida All-State Orchestra for the past 4 years. In 2011 Tristan won first place in the Space Coast Pops Young Artists Competition. He is the concertmaster for the Florida Symphony Youth Orchestra in Orlando. Tristan is a member of the National Honor Society, Satellite's Spanish and Debate Clubs, and a member of the Space Coast Symphony Orchestra. Tristan also plays viola and has quite a collection of old instruments. Haley A. Rhodeside began playing harp at age six. 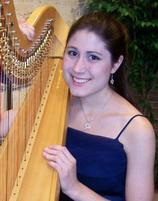 She currently attends Indiana University where she studies with renowned harpist Susann McDonald. Haley captured 1st prize in the 7th annual Space Coast Pops Young Performing Artists Competition in 2003. She was a prizewinner in the American Harp Society’s National Competition in 2005 and a semi-finalist in the 2007 American String Teachers Association competition. She was a Concerto Contest Winner for the Brevard Symphony Youth Orchestra in 2007 and 2009, and was their principal harpist for three years. In July 2008, Haley won 1st place in the Emerging Artists Division of the International Young Artist's Harp Competition. In 2012 she earned the distinguished Performer's Certificate from the Jacob's School of Music. Haley returns to Bloomington as a senior in the fall to complete a double major in Harp Performance and Math. Allison Parks is an eighteen year-old violinist, pianist, flautist, violist, and vocalist attending high school in Melbourne and Eastern Florida State College. She participates in a number of ensembles at her school, like the Chamber Orchestra, Mixed Choir, Wind Ensemble, and Marching Band, and other ensembles in the area such as the Brevard Symphony Youth Orchestra and Brevard Community Chorus. As a singer, she participated in the Florida All-State Chorus from 2009-2014, the Brevard All-County Chorus from 2008-2010 and 2013-2014, the Florida American Choral Directors Association Honor Choir (2012-2013), and the 2014 Southern Division ACDA High School Honor Choir. As a violinist, Miss Parks has been a member of the Brevard All-County Orchestra four times (2010, 2012-2014) and a member of the FSU Summer Music Camps Symphony Orchestra. Allison doesn’t just enjoy performing, she also likes to conduct and was the first ever Brevard Symphony Youth Orchestra Student Conductor in 2010. In her spare time, she finds herself spending time with family, collecting pressed pennies and movie/concert tickets. She will be attending Florida State University as a major in Choral Music Education doing a double principal on violin. 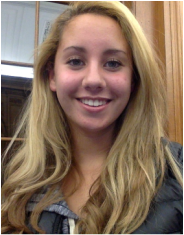 Isabela Rovira is a junior at Holy Trinity Episcopal Academy High School. Isabela has played the piano for 10 years and the violin for 9 years. She takes private instruction from Irina Wolynez in piano and from Amy Jevitt in violin. 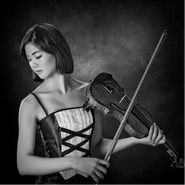 She has played in the Florida Symphony Youth Orchestra for two seasons. At school, Isabela is a member of the National Honor Society, National Spanish Honor Society and National English Honor Society. Isabela also competes with the Holy Trinity Academic Team. 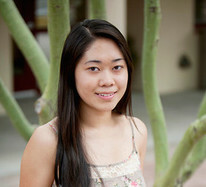 She is a member of DUKE TIP, the Johns Hopkins Center for Talented Youth and National Society of High School Scholars. In addition to MusicMDs, Isabela also volunteers with Hospice of Health First Teen Linking Lives (TL2) Program. Outside of music, Isabela’s interests are in the visual arts, including animation and illustration, and reading. Jennifer Ruiz is an incoming college freshman, entering BCC in the fall of 2012. She plays cello and piano. She has been playing cello for over eight years, and learning piano for three years. Jennifer’s private cello teacher was Dr. Silliman, and her piano teacher was Ms. Dru. Jennifer was the cello section leader for the Eau Gallie High School advanced orchestra for two years, and she spent the second semester of her senior year helping members of the intermediate orchestra. She has made it into All County Orchestra in all four years of high school. In Solo & Ensemble, Jennifer got one excellent rating and several superior ratings over the years. She even gave cello lessons to a middle school student in her senior year. Jennifer has been in school orchestras and BSYO for seven years. She was in the pit orchestra for the Summer Fine Arts production of “Singin’ in the Rain” in 2010, and Eau Gallie High School’s production of “Seussical the Musical” in 2012. Jennifer is interested in Spanish Language and plans to study it. Sarah Hock is in 11th Grade in Melbourne High School’s International Baccalaureate Program, and has been playing the violin for six years. She has been a member of Brevard All County Orchestra for five years and the Brevard Symphony Youth Orchestra for four years. She also plays in the Melbourne High School Chamber Orchestra, and this year performed with the Tri-School Chamber Orchestra. She takes private lessons with Eric Bryan, and enjoys cooking and spending time with friends on the weekends. Mackenzie has been playing French horn for 5 and half years. This is her 4th year with the BSYO. She has been the principal horn at Bayside High School since the 9th grade where she was also drum major her senior year. She has been in the All-County Band since the 8th grade, All-County Orchestra, All-State band in 10th and 11th grade, and was the principal horn in this year's All-State Orchestra. Mackenzie volunteers her time sharing her love for music at Club Esteem, Health First Hospitals, and at Southwest Middle School's summer band camps. This past November she was selected as a member of Macy's Great American Marching Band. She plans to study music performance in college. Her ultimate dream is to play in one of the military’s special bands such as the “President’s Own” Marine Band. Angelica Ramirez is in the eleventh grade at Satellite High School. She is a skilled cellist who has been playing for about seven years and has been in her school orchestra and the Brevard Symphony Youth Orchestra for the past six years. 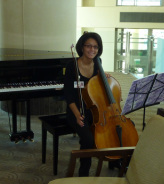 Angelica has been principal cellist many times and has many musical achievements such as participating in the Midwest Clinic in Chicago, participated in the All-County orchestra, All-State orchestra, volunteered in the Music Mentors program, participated in “Cellobration” at Stetson University, was invited to play with a chorus twice, has gotten superiors in solo and ensemble, attended the Brevard Chamber Music Seminar, and played with the Space Coast Symphony. She loves school, reading, drawing, riding bicycle, and her favorite, archery. Angelica is the current Florida state archery champion since last year with three state gold medals and is the current state record holder. Trevor is a rising sophomore (class of 2018) at Rice University studying Biochemistry and History and pursuing a career as a physician. He has played the guitar for the past seven years. He is currently the lead guitarist on the worship team at First Colony Christian Church, and he was formerly lead guitarist on the worship team at Fort Bend Christian Academy High School. 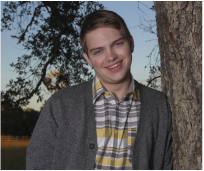 Outside of music, Trevor enjoys volunteering at Houston Methodist Hospital, doing research on cancer immunotherapy at Baylor College of Medicine, and reading good books.